We’re asked a lot of questions from prospective Students when they’re discussing signing up for music lessons. Don’t worry, we get it – if you’ve not taken lessons before, then you’re probably not sure of how we do things! 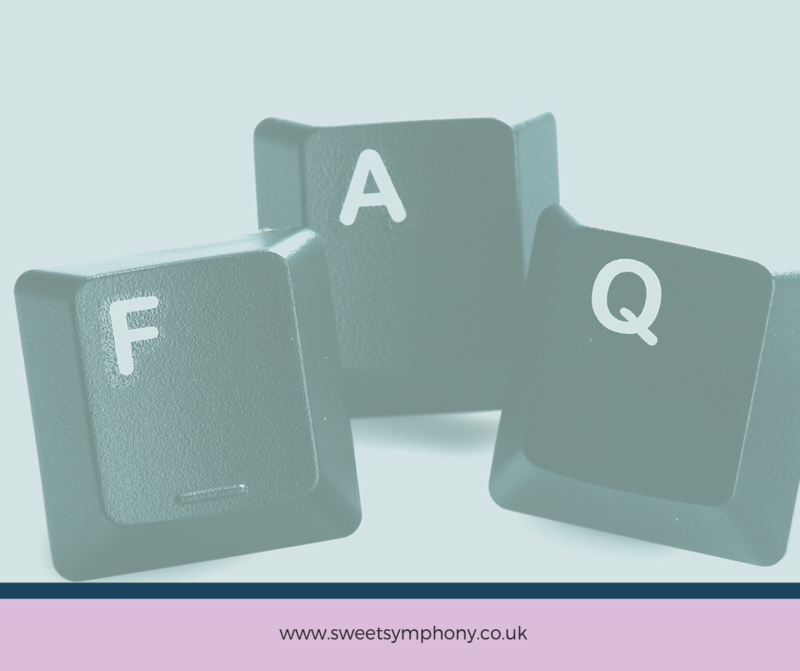 And so we thought it would be really helpful for us to compile a list of some of the most frequently asked questions. How often will I have a lesson? The vast majority of our Students commit to weekly lessons. This is best for consistency and progression. In our experience, fortnightly or bi-monthly lessons mean you’re getting very little Student-Teacher facetime, which usually results in Students forgetting to practise and quickly losing interest in lessons. We don’t offer PAYG lessons. After their first lesson, Students are booked into a recurring weekly lesson space and tuition is invoiced monthly. Once we’ve agreed a lesson time that works for you, you’ll be sent a payment link to make the payment for your first lesson. This payment link sets up a Direct Debit mandate which, should you wish to continue after your first lesson, is used for your monthly tuition payments. Tuition is invoiced monthly and payment is made on the 1st of the month for the upcoming month. What if I decide to stop my lessons? How much notice do I need to give? Your very first lesson is a paid trial lesson. This enables you to come along to the Studio, try out the lessons and meet your Teacher, and decide whether or not you’d like to continue with us. If you do – great! We’ll add you to our schedule on a recurring weekly basis and you’ll be fully enrolled as a Sweet Symphony Student. Should you not wish to continue after your first lesson, just let us know and that’s that – there’s no further payment required. If you decide to discontinue your lessons with us further down the line for whatever reason, all we ask is for 2 weeks’ notice. What about books? Do I need to buy them myself or will you get them for me? All Students work through a tuition book for their chosen instrument. We have lots of different tuition methods we use, depending on the age and ability level of Students. At your first lesson, your Teacher will assess you and decide which book will be most suitable, and will place an order for this book for you. This will appear on your very first invoice, and will be given out once the invoice has been paid. Going forward, your Teacher will inform you as and when you need any new books or equipment. We will order these on your behalf and add them to the relevant month’s invoice for you. Absolutely not! Lots of our Students learn purely for pleasure, and we’re totally fine with that! If you wish to sit music exams we’ll fully support you, but they’re in no way compulsory and we never pressure anyone into sitting exams if they don’t want to. Can I take lessons in more than one instrument? Of course! We offer a wide range of instruments at Sweet Symphony, and if you’d like to take up more than one instrument that’s great! Due to our jam-packed schedules, we can’t always guarantee we’ll be able to timetable your lessons back-to-back, but we’ll try our best! The Studio is usually closed for 2 weeks at Christmas, 1 week at Easter and on all Bank Holidays. We try to synchronise our holidays with schoool holidays but due to different school holidays in different areas this isn’t always possible. We have a large calendar in our waiting room detailing any dates that the Studio is closed, and you’ll also see details on our online calendar when you login to the Sweet Symphony website. We have a fairly flexible cancellation policy in place whereby we ask for just 24 hours’ notice of any cancellations. If you know you’re unable to attend a lesson, please let us know by cancelling the lesson online on our website. As long as you give 24 hours’ notice, you’ll pay for the lesson as normal, but you’ll be given a make-up lesson which means you can reschedule to any other time that your Teacher has available. Details of each Teacher’s available spaces are shown on the online calendar when you login to our website. Cancellations with less than 24 hours’ notice will be charged and will not be given a make-up. How do I cancel/reschedule a lesson? It couldn’t be easier to cancel or reschedule. Upon registration, each Student is given their own login for our Student Portal on the Sweet Symphony website. Just login and go to the calendar. Click on the lesson you can’t attend, and click “Cancel”. To reschedule a lesson, go to that same calendar page and you’ll be able to see all of the available spaces your Teacher has. Cancel your lesson (see above) and then click on any of the other available spaces and click “Register”. That will book you into the new lesson space. Simple! If there’s anything else you want to know about our lessons that we haven’t covered here, please get in touch! Give us a call on 0191 908 8441 or email us at enquiries@sweetsymphony.co.uk and we’ll be happy to help! To read our other blog posts, click here.